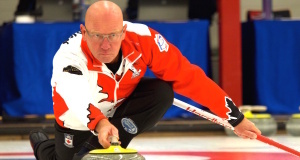 While a crowd in Portage la Prairie, Man., settled in to watch Saskatoon’s Steve Laycock face Calgary’s Kevin Koe in the final of the Canad Inns Men’s Classic on Monday night, a different set of athletes was arriving in town to start another event; the first of its kind; the following morning. 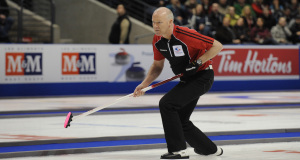 With all of the chatter this week about new broom technology and sweeping techniques, it’s easy to forget that the World Curling Tour is marching on, and that several events featuring top teams will be taking place this weekend. 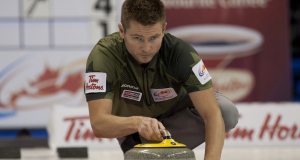 Mike McEwen was back to his winning ways this weekend at the Stu Sells Toronto Tankard, but not without some controversy. Top men’s team converge on Stu Sells ’spiel in T.O. This time last year, Mike McEwen (Winnipeg) was running away with the lead on the Canadian Team Ranking System leaderboard, winning all but one of his first seven events. 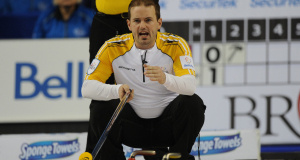 The one he didn’t win was won by Brad Gushue (St. John’s), who is starting this season like McEwen did last year. The next generation of curlers will once again benefit from the second edition of The Spirit of Curling Calendar. 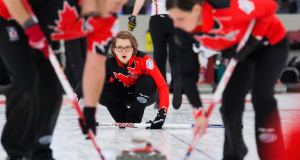 Everybody knew going into the weekend in Vernon, B.C., that the Canadian Team Ranking System women’s standings would look quite different by the time the last rock was thrown. 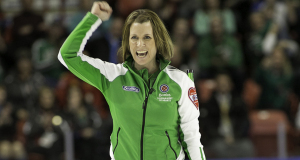 It’s no secret that the Canadian women’s bonspiel circuit has been dominated by three teams in recent years. 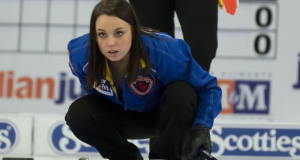 Winnipeg’s Jennifer Jones and Ottawa’s Rachel Homan have been winning for ages, while Edmonton’s Val Sweeting’s foursome has come on strong in the last year. Given their continued dominance, they haven’t left a lot of room at the top for the rest of the ladies teams. 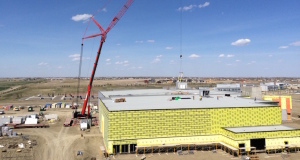 Lethbridge will be hosting another world-class curling event, it was announced jointly today by the World Curling Federation and Curling Canada. The top-ranked team in the world found its stride this weekend in Saskatoon. After a respectable semifinal finish at its only other event this year, Mike McEwen’s Winnipeg foursome took home the title at the Point Optical Curling Classic, defeating fellow Winnipeger Reid Carruthers 8-4 in the final. Over the last few seasons, there have been two names consistently atop the women’s leaderboards. 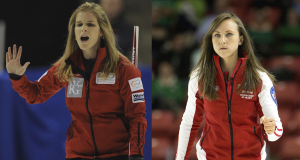 Two-time Scotties champion Rachel Homan (Ottawa) and 2015 Scotties champ, and 2014 Olympic gold-medallist Jennifer Jones (Winnipeg). Although it was the first time Cornwall, Ont., hosted the event, the AMJ Campbell Shorty Jenkins Classic felt just like always, and saw a familiar champion crowned. 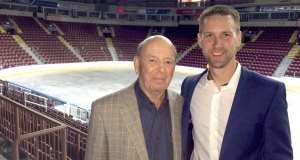 The last time the Canadian men’s curling championship was played in St. John’s, in 1972, Bob Cole was a fan, but he also was among his peers. 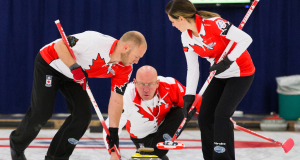 Canadian dreams of claiming gold at the inaugural World Mixed Curling Championship were dashed on Friday in Berne, Switzerland. 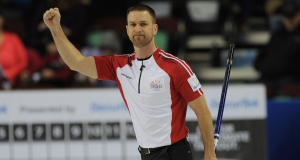 Team Canada will move on to the qualifying round at the World Mixed Curling Championship in Berne, Switzerland, after defeating Norway 8-4 in the final game of the round robin on Thursday afternoon. 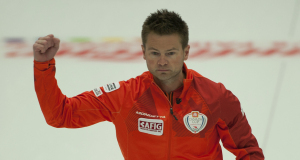 With one game left in the round robin, Canada now sits in third place after losing 5-4 to Germany in an extra end battle on Wednesday afternoon at the World Mixed Curling Championship in Berne, Switzerland.